He has spent most of his DJ career in Japan but over the last couple of years he has been spreading his music closer to home with sets at Dekmantel Selectors Festival & Phonox with MCDE, Garden Festival in Croatia, Sunset Campout in California, STARVUE(New York), DOLPHIN & TRESLE(Philadelphia), CONCRETE (Paris), CRUQUIUSGILDE(Amsterdam), ABOUT BLANK & SAMEHEADS(Berlin) as well as regular gigs in his home town Brighton at PATTERNS warming up for Maurice Fulton, Horse Meat Disco, Danielle Baldelli & Red Rack’Em. He’s also been running a regular party in London called Tangent with John Gomez which is one of London’s hidden gems in which the two selectors dig deep into their record collections to play everything from Afro Disco and sun-kissed tropical rarities to Soul & electronic gems. The emphasis is on a great sound. Using D&B Audio speakers & DJ set up with modified turntables. Nick currently runs a label called Record Mission with Dan Tyler from The Idjut Boys to release their Edits. The pair also scored an underground hit with a rework of Robot Jam for the Emotional Rescue label. Other releases include a compilation for Dave Lee’s Z label entitled Under the Influence. Prior to that he curated 2 volumes of Disco Juice for Counterpoint records and has also released original material on Nuphonic, Ene & 20/20 Vision labels. Nick has also released 2 official mix CD’s in Japan on Lastrum & Avex (Japan’s biggest record label). Nick got his first taste of London nightlife going to Hip Hop Jams in the eighties & then onto the Rare Groove scene & was around for the summer of love in 1988 when House exploded in the South. In the early 90’s Nick started to play at lots of underground parties in the thriving warehouse party scene in London and also during the summer at many outside “Free Parties” and music festivals as well as guesting at DJ Harvey’s legendary MOIST club and being one of the resident DJs at QUIRKY at the Vox. In ‘93 Nick’s love affair with Japan started when he got together with a crew of Japanese friends and formed Lifeforce. These legendary parties were ground breaking in Japan. There was already a great club scene bringing famous US DJ’s over but Lifeforce was something different. 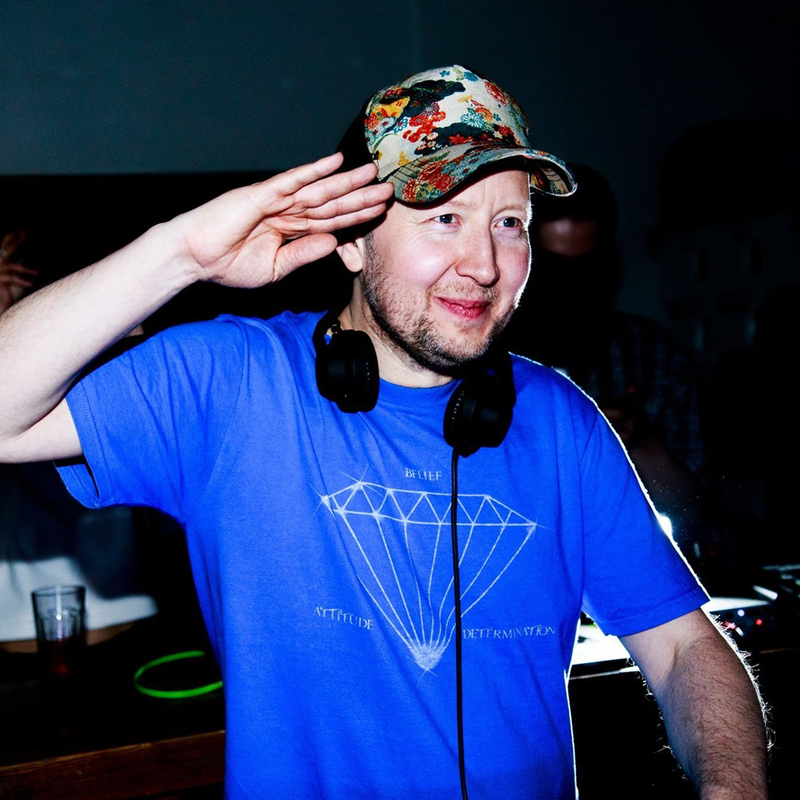 With a close knit crowd drawn by word of mouth, elements of the UK’s “free party” movement and a Soundtrack spanning from Garage to Disco to Detroit Techno & Chicago Acid they took Japanese nightlife from “Clubbing” to “Partying” with Nick as the resident DJ visiting 3 or 4 times a year for 20 years. He’s been so many times he’s lost count. Nick has played all over Japan in the last 12 years & has been resident DJ at Taico club open air festival for 10 years where he plays the closing set of the festival in the idyllic setting of the Nagano Mountains. Alongside such artists as Madlib, Rhythm & Sound, Daedelus, Chateau Flight, Rob Da Bank, Moodman, Rub-N-Tug, Ulrich Schnauss, Pepe Bradock, Chez Damier, James Holden, Osunlade, DJ Koze, James Holden, Ricardo Villalobos. This has become one of the highlights of Nick’s year. It is one of Japan’s best underground music festivals and is held in a place named Kodamanomori which apparently translates as echo forest – it is in a valley surrounded by trees which acts as a natural amphitheatre & sounds incredible. Nick gets to play what is known as the ‘After Hours’ or closing set from 8am to 2pm after the second stage has closed – he is the only man they trust with this job. Nick has been reunited with his old friend DJ Harvey in Japan in recent years sharing a night at the legendary club Mago & at Rainbow Disco Club a huge open air all dayer in the heart of Tokyo’s bay area. In the latter half of the 90’s Nick got together with multi-instrumentalist Tim Hutton to form the SOUL ASCENDANTS, their first release TRIBUTE was a tribute to Fela Kuti which was well received by critics and DJs worldwide. This funky afro house groove proved to be a huge hit on the underground House and Garage scenes in New York and Japan being played by DJs like Timmy Regisford, Joe Clausell and Francois Kevorkian at clubs like THE SHELTER and BODY & SOUL where it became an anthem and would sometimes get played 3 times in one night.